We4Sea, a Delft-based maritime startup, has secured new funding to accelerate the development and roll out of its platform for monitoring seagoing ships’ fuel consumption and emissions. Thanks to We4Sea’s software platform, ships can optimise their use of fuel and drastically improve efficiency. 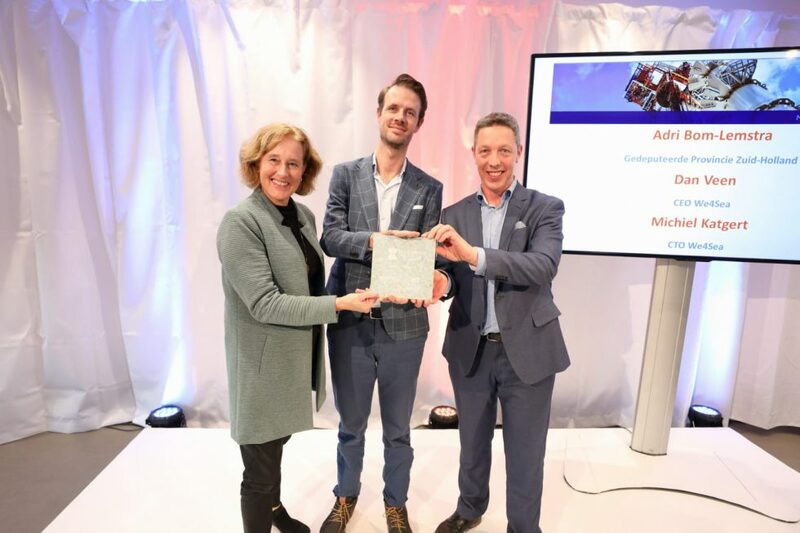 The investment by ENERGIIQ, Mainport Innovation Fund II and angel investors was announced by the Regional Minister for the Province of Zuid-Holland, Adri Bom Lemstra, at the Maritime Delta dinner in Schiedam. As the only company with this technologyWith this software-only technology, We4Sea can therefore provide extremely accurate calculations of a ship’s fuel use and emissions to parties that do not have direct access to the ship, such as charterers and providers of ship finance. For a ship with average fuel consumption, savings can easily add up to thousands of tonnes of CO2 emissions and tens of thousands of euros a year. We’re proud of the growth achieved in recent years, but there’s still a wealth of opportunities that will help us improve our product, connect with more customers and expand the market. This is in line with our mission to prevent one million tonnes of CO2 emissions from shipping. ENERGIIQ is the energy fund of the province of Zuid-Holland and is managed by InnovationQuarter.